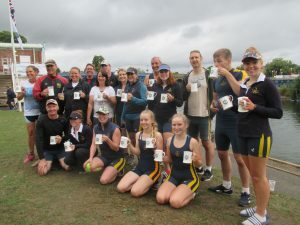 With several winning margins measured by a couple of feet, Loughborough Boat Club proved that every inch counts as it brought home a fantastic haul of trophies at the Stourport Regatta. 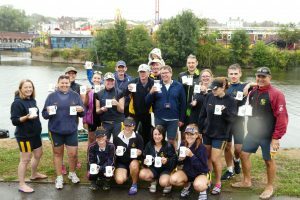 Thirteen overall Final wins produced 51 individual pots as the Club showed strength in depth and completed one of its most succesful and enjoyable weekends of racing. 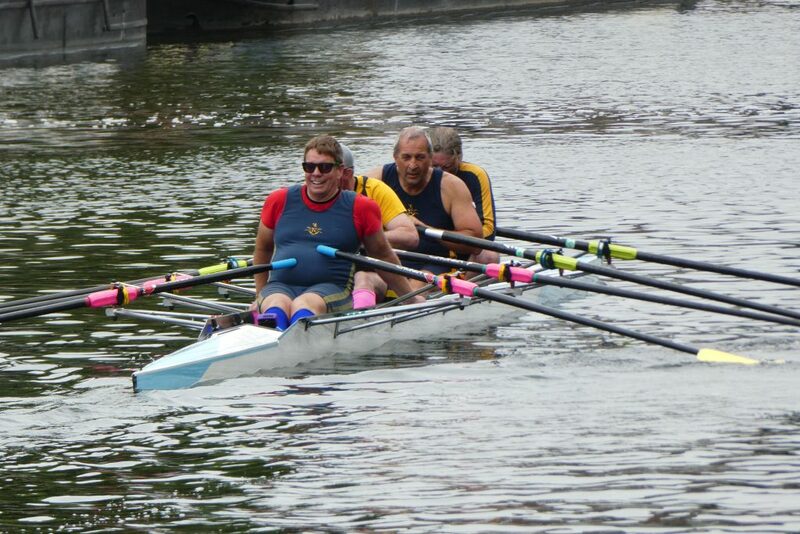 In particular, it was exciting to see the Club fielding a new ‘novice’ Coxed Four, rowing very tidily, and a first ‘pot’ for Jonathan in the colourfully unstoppable and crew-fluid Masters Quad, which won on both days. 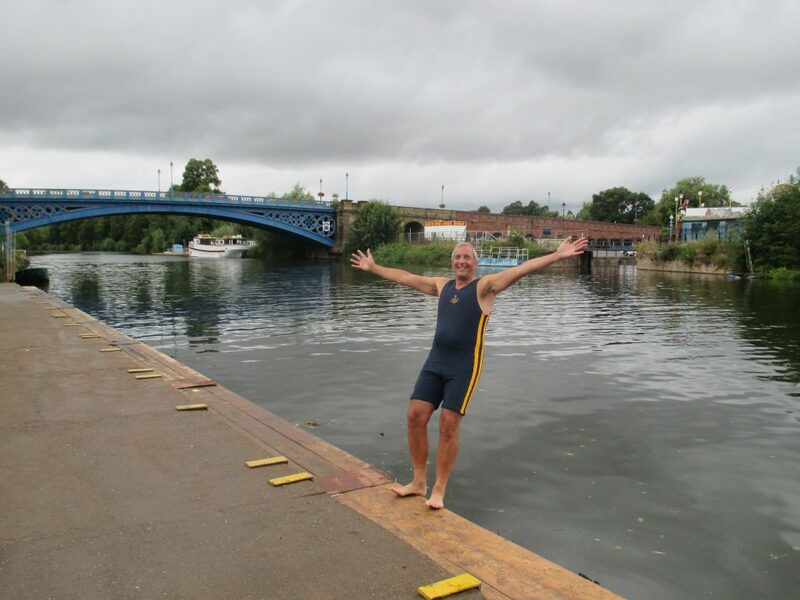 Jonathan completed the necessary celebrations for loss of Novice status with a spectacular backwards dive into the river, producing a surprisingly splashless entry. Has Loughborough perhaps found the new Tom Daley? – although it is reported that further upstream surfers were seen taking advantage of an unexpected ‘Severn Bore’. 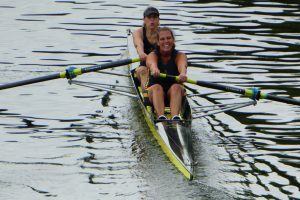 Meanwhile, Rachel met her match in the cox seat of an electric Mixed Eight contest, as her oppo was also taking no prisoners and sneakily pushed her towards the pedallo park on the final bend. The Loughborough cox’ response was definitive and final, as video evidence shows her slamming on full rudder and attempting to ram the enemy boat amidships in a manoevre that even Nelson would have been proud of. With Ross standing by to repel boarders, and splinters already flying from a fierce clashing of blades, the Umpires were forced to intervene and order both naughty crews to cease racing by frantic ringing of bells. 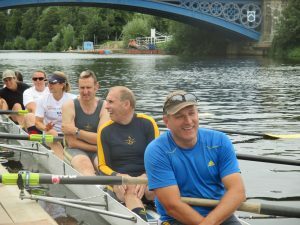 Fortunately, the natural instinct of rowers to stop whatever they are doing as soon as they hear any bell kicked in, and a messy bloodbath was averted. The Video Referee would have clearly seen that the Loughborough boat was forced to turn sharply to avoid the moored steamer, but in the absence of that facility the decision was that the incident had happened in ‘neutral waters’ and that a re-row was necessary. 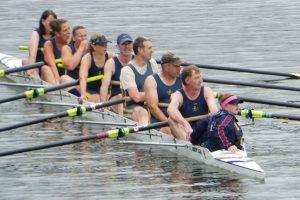 The second race was equally side-by side the length of the course, but with fatigue kicking in Loughborough proved they were hungrier for victory and finally broke the Ross spirit in front of an excited crowd to win by 2 feet and double up on their previous days’ victory. 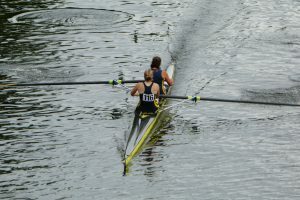 Tara also had an equally close race to win the WJ15 1x Final by 2/3 length against Liverpool Victoria, whilst Thomasin matched this success in the WJ14 against Burton Leander – both races being in the top Band 1. The girls also crewed up to beat Derwent in the WJ15 Final. In the Open Mixed Double, Hannah and Alex put in a hugely determined spurt under the bridge to hold off Evesham and cross the line 3 feet ahead, with Alex also winning convincingly and easily in his Open 1x and Hannah doubling up with Matilda for a win in the W2x. 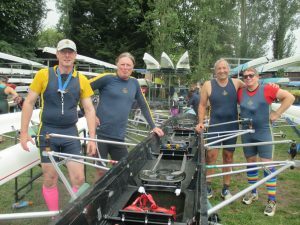 The Masters Four were less fortunate in the first race of the day on Saturday morning as the surprise of competing at that unearthly hour took its toll and the thought of extra time for a lengthy fried breakfast took pyschological precedence over a second race – with Pengwern winning by just 1/4 length after another side-by side battle which may have highlighted our boys’ miniscule shortfall in fitness over the unaccustomed longer distance. The prospect of a mother vs daughter final loomed large in the W2- event, as MatildaZoe and VickyEmily were seeded in the opposite halves of the draw, but this delicate situation was narrowly avoided after the latter were beaten in the semi-final, thereby postponing this inevitable test of maternal love to a later date and enabling the younger generation to win the event on this occasion. Charlie, Scott and Nadine also faced a similar quandry of offspring nurturement and easily solved it by generously making sure they did not win more pots than their respective son and daughters. 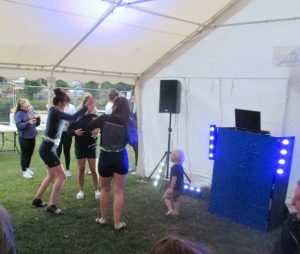 Meanwhile, Henry was busy showing his Dad how it should be done, by throwing a few shapes on the dance floor and pulling in the girls, one of whom he took a particular fancy to. Clearly, Keith has been teaching him essential man skills, other than just how to use a chain saw and tow a fully-loaded boat trailer. 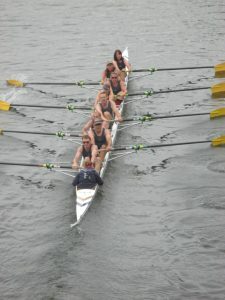 Did I mention the Womens’ Eight and Womens’ Coxed Four? Need I state the result? But it simply summed up a thoroughly succesful weekend with camper vans and tents back in force and the LBC ‘Spirit of Rowing’ flying high.